The sample is just for reference. By referring to the sample, you may make a stunning quote for your catering services to get attention of your clients. You, rather always needed this as without a globally accepted format style, you would never know what is anticipated from you in a global standard. 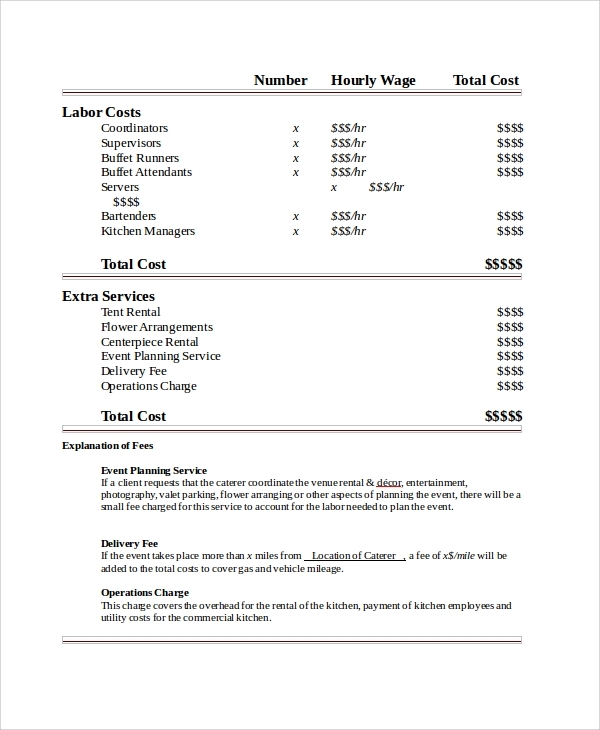 A free quote sample will tell you to make the catering quote in the most easy to understand, basic and lucid way, so that you, your team and all clients may understand and like the simplicity. Anyone who gets to see the outcome of using this template must feel positive about the quote. 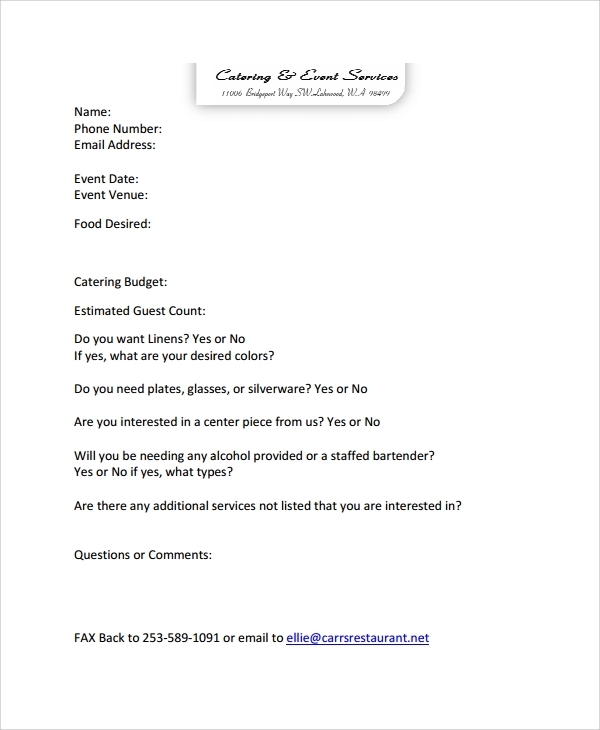 If you need to grab the best wedding catering contract for catering in the next wedding season, gear up now. 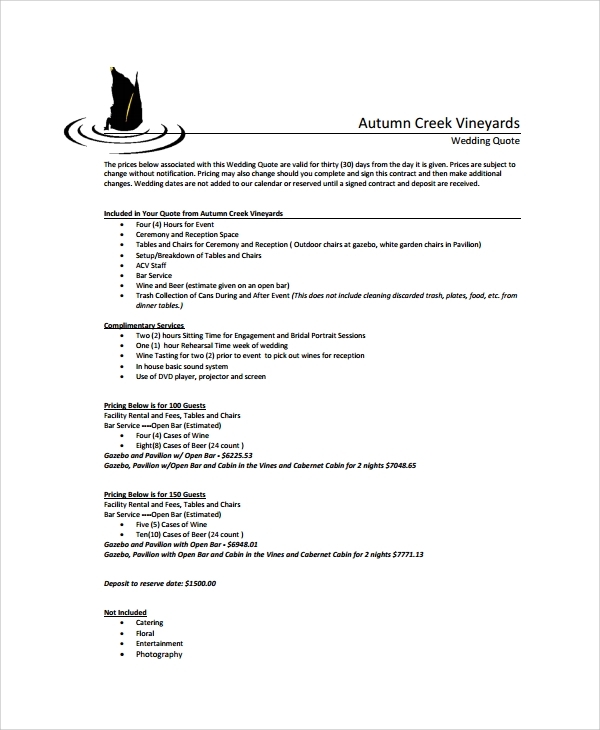 These are stunningly professional and accurate styled templates for wedding catering quote making. You will surely get some of the best contracts when your presentation is world class. 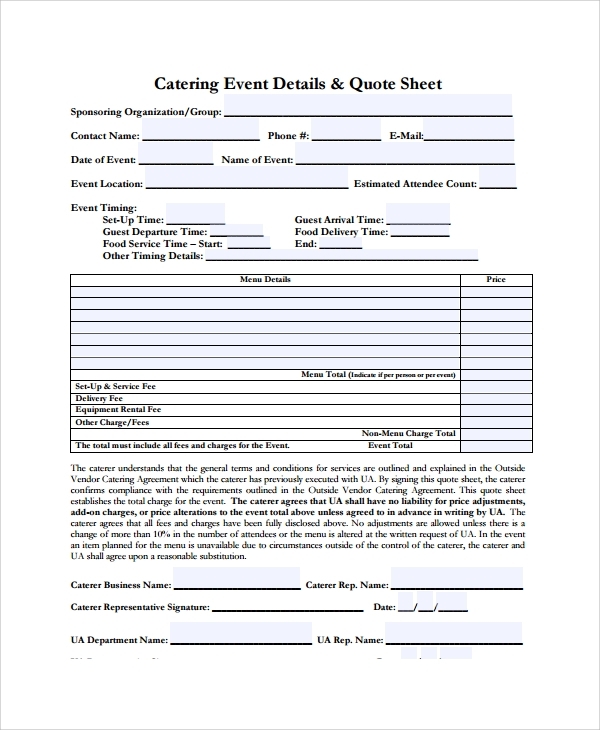 Why do You Need the Catering Quote Templates? Who Can Make the Best Use of the Templates? 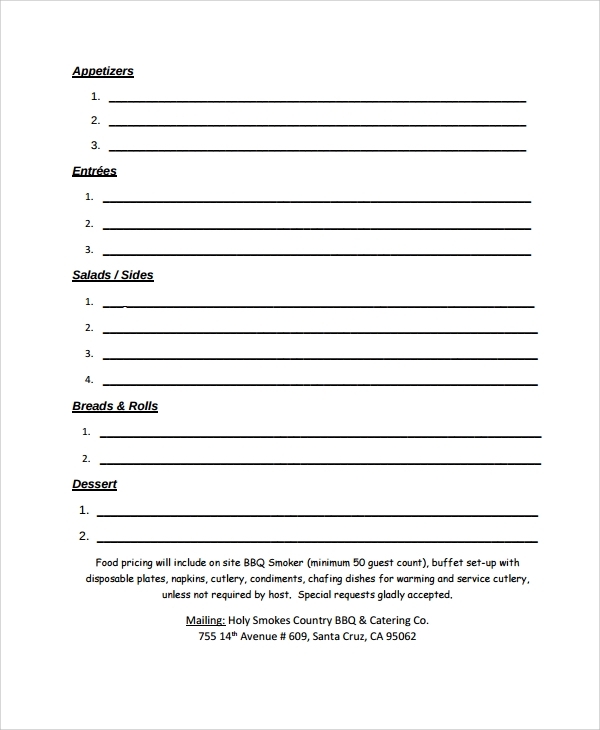 Any catering startup would love to get help from the templates. 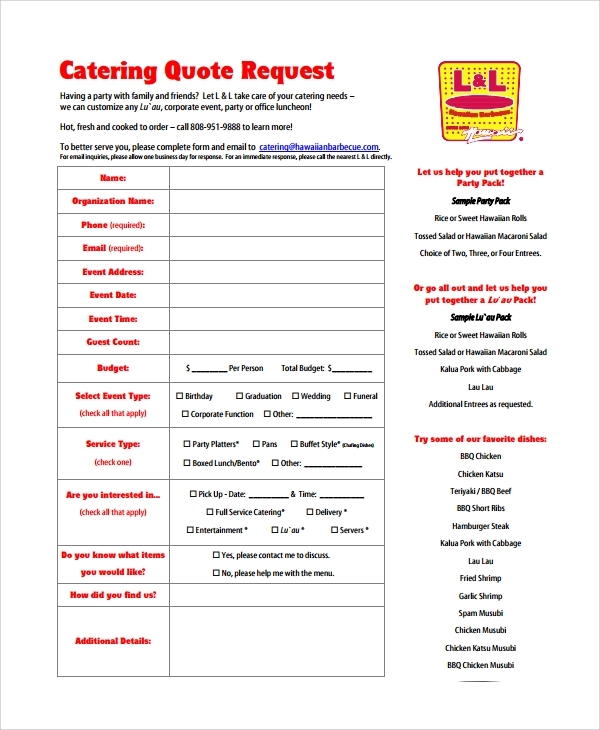 The catering quote templates are made in several styles to guide a company in making various types of quotes. Some may be for the wedding, while some may be for the corporate party, and then for the baby shower party, or just for a casual beach party. Whatever is the reason or occasion, your quotes must complement that, and hence templates are the best choice in bringing relevant styles and difference to fit the global standards. 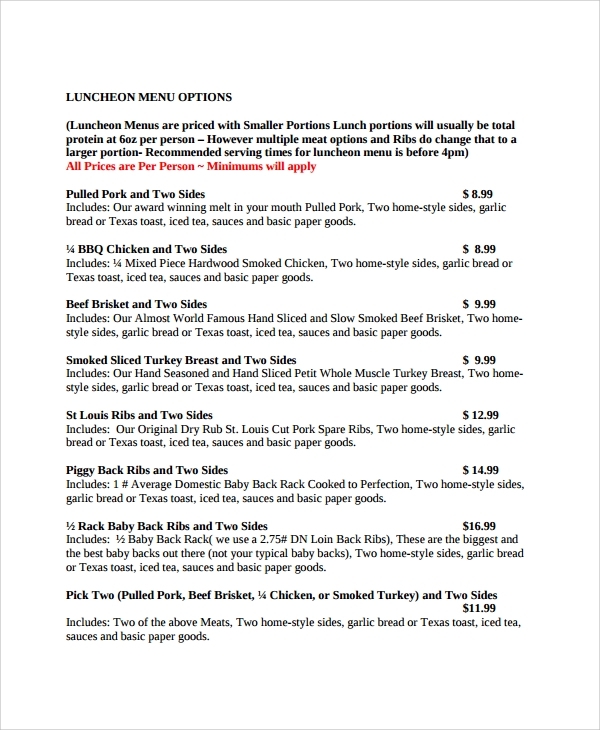 There is no challenge in making a catering menu quote as long as you are guided with templates. The professional templates available online for free in easy to use file formats are best to help any new or old catering group, who needs a guide to prepare a new quote, or are looking for a change from their old quote making style.